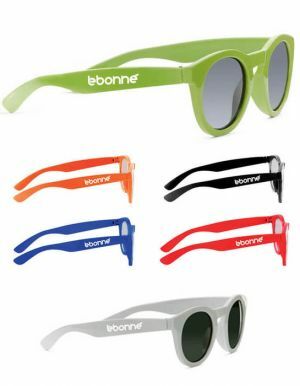 Customized sunglasses in all styles and colors. 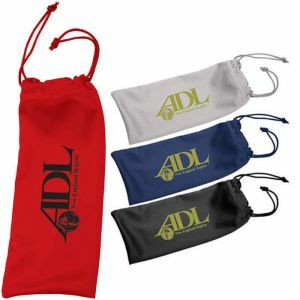 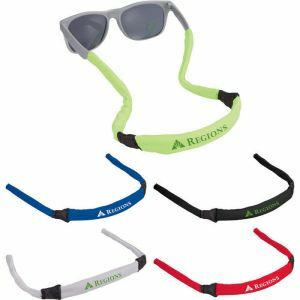 We also carry sunglass accessories like printed sunglasses straps, clips for glasses with your logo, and sunglass cases printed with your promotional message. 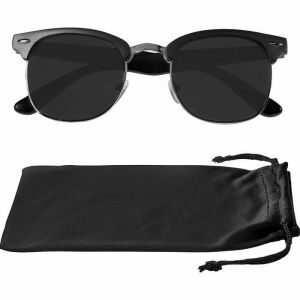 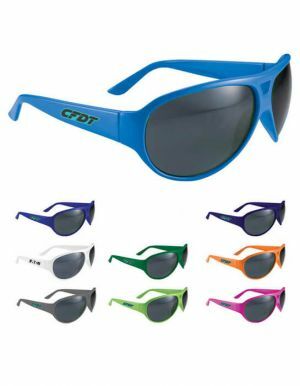 At PromotionChoice.com, you will find sunglasses in all kinds of styles - choose from retro designs to more of a classic style, to styles that suits a more unique and eccentric personality! 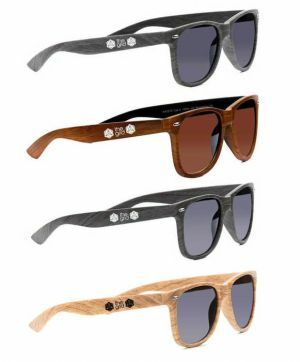 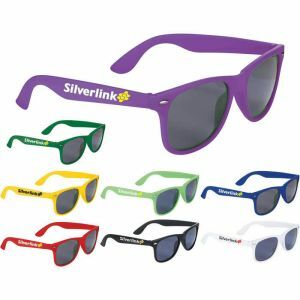 Every single sunglass can be imprinted with your logo, text, artwork, or design. 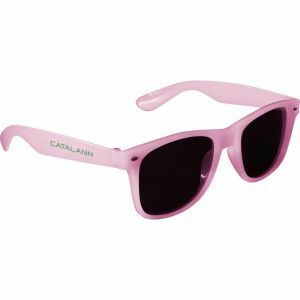 Buy top quality monogrammed sunglasses with us at cheap wholesale prices in bulk today. 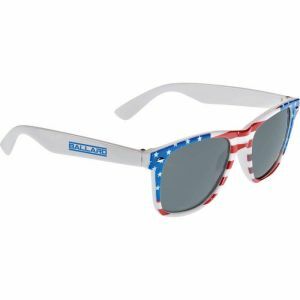 Most of our wholesale sunglasses are printed and shipped out from within the USA! 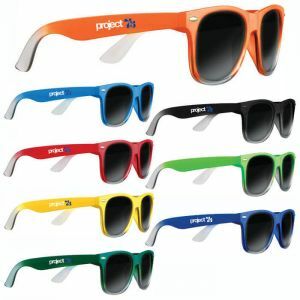 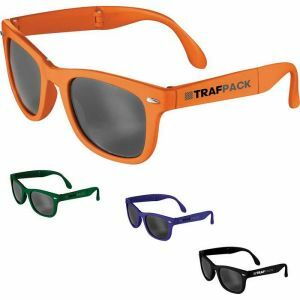 Promotional sunglasses are a sure way to grab attention at any tradeshow, event, or campaign of yours. 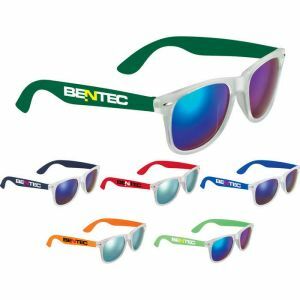 Increase your sales with our huge collection of carefully selected customizable sunglasses that will make your company or event so memorable. 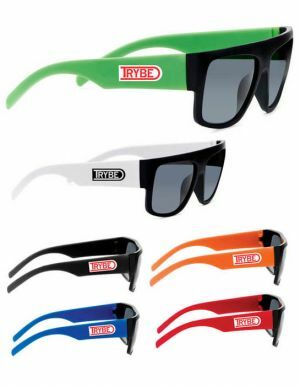 Our printed eye glasses have low prices and are available in myraid colors across the color spectrum. 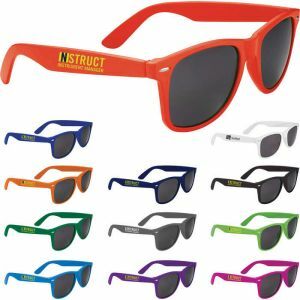 Our variety is also impressive, some of them include: retro sunglasses, aviator sunglasses, sun ray fashion eye-glasses, tortise shell sunglasses, camouflage glasses, glasses with bottle openers, and many more! 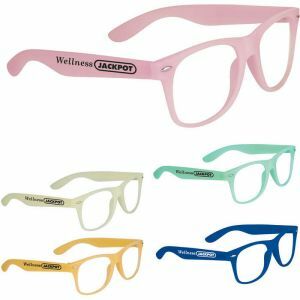 We have every color and type of glasses that will fit your every need. 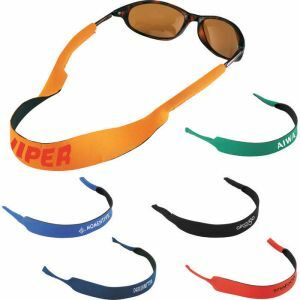 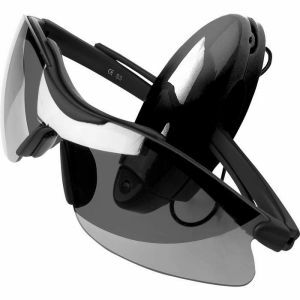 What's more, we even carry glasses accessories like glasses clips, sunglass cases, and sunglass straps. 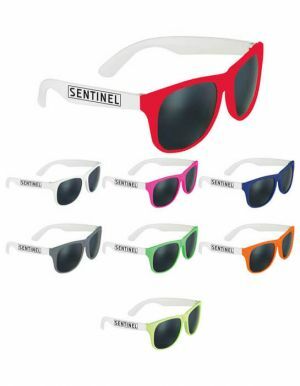 Our branded sunglasses are appropriate for so many occasions and events! 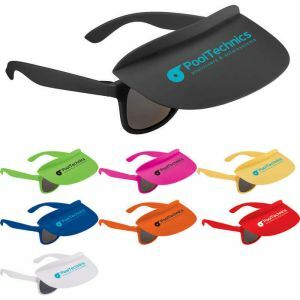 They are great promotional ideas and are extremely popular with many of our clients in industries such as advertising, construction, real estate, tanning salons, pet stores, design, restaurants, hair salons, beverage companies, events companies, tourism companies, etc. 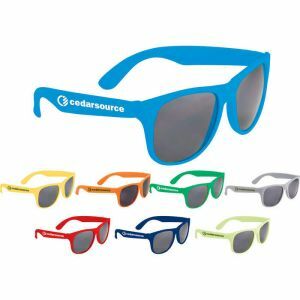 Your target audience will value these customized sunglasses and your brand name will always be at the top of their minds. 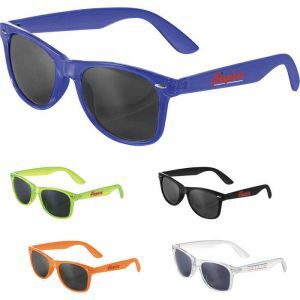 See your clients having a complete ball with our advertising sunglasses at the beach, parks, and other outdoor venues. 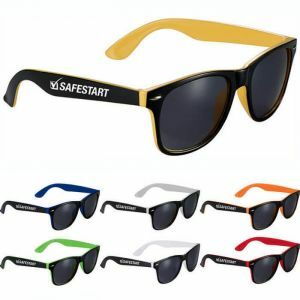 Besides company events, our campaign sunglasses are also ideal for events on a more personal scale such as birthdays, weddings, bah mitzvahs, pool parties, baby showers, etc. Make a splash at your event with these awesome printed sun glasses. 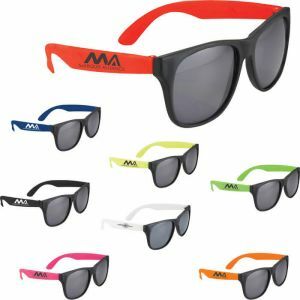 Order your logo sunglasses from us today and see brand soar! 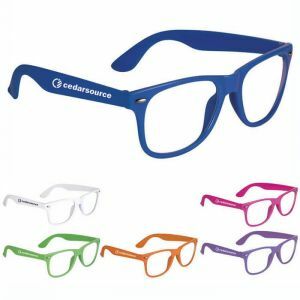 Our expert customer service reps are always ready to help you and walk you through your order from start to finish. 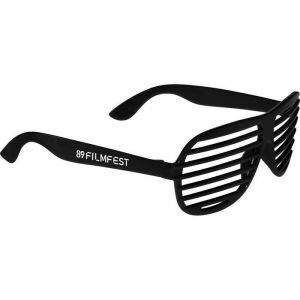 You will be delighted with our imprinted eye glasses. 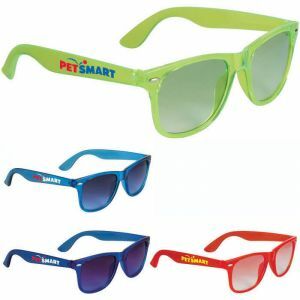 Order worry free today - great quality print sun-glasses at cheap prices - and see your brand name take off!